Corporations are rather invincible creatures. Other than legislation or economics, it is almost impossible to injure a company. Poor ethics most certainly will not shut a company down. 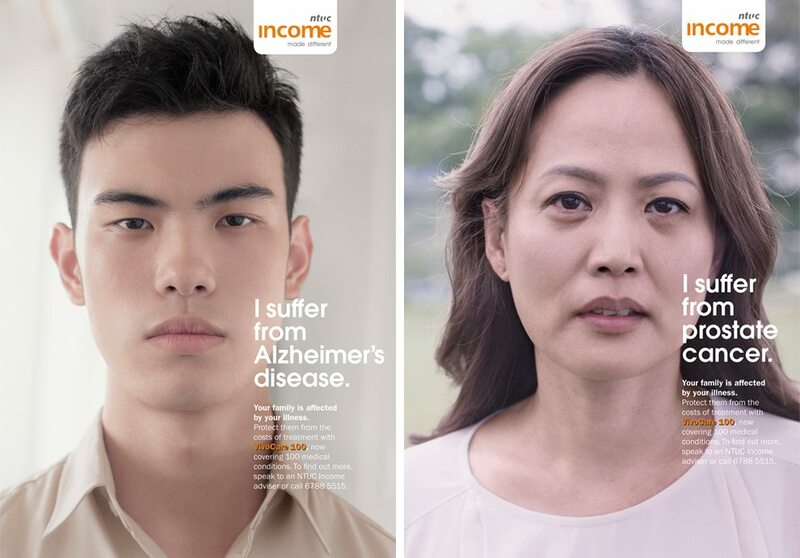 Last week, NTUC Income told a lie about a retiring celebrity and failed to properly apologise for it. The internet responded robustly, criticising the company for a lack of ethics. What harm would it do NTUC? Nothing really. Sales hasn’t dropped. They didn’t get into trouble with the law. Life goes on. Any problem that doesn’t cost a corporation money, doesn’t bother the company. Their response, if any, comes in the form of an unenthusiastic press conference and then it is business as usual. Foxconn, the contracted manufacturer for Apple, is infamous for its dangerous working conditions and treatment of workers in the factories. Conditions at the plat are reportedly so bad, that “anti-suicide nets” had to be installed beneath the windows after employees kept leaping to their deaths in protest of the horrific things they had to endure on a daily basis. American retailer Walmart is a large organisation that is vehemently anti-union, in favour of higher profits and lower wages. They are known for predatory store placement, destroying small businesses with their presence. Controversies began in 2006, yet Foxconn and Apple continue to flourish until today. And what about cigarette companies? Despite the immense amount of legislation they’re subjected to and the known fact that their products kill people, they continue to operate and make a lot of money. These companies have innovated their methods of marketing so well, many a times you don’t even know that you’ve been promoted a particular brand of cigarette until you find yourself buying them. There are also the Indonesian oil palm manufacturers. They’re the ones responsible for the unethical burning of forests that result in the annual haze, harming the health of regional neighbours and depriving us the enjoyment of our land. No amount of media attacks, verbal attacks, protests nor boycotts are going to help. Strikes are not going to help – employees are replaceable, the hurt doesn’t last. A big corporation’s profit doesn’t come from one or two sources, it streams in from hundreds and thousands of buyers nationally, regionally, even globally. As long as profit remains, bad PR doesn’t affect them one bit. Give them a command not to do something and back it up with the threat of sanction. But legislation require enforcement and it may not always be so easy to enforce a law. Take for example Singapore’s progressive wage model. It is not a law, hence it is not criminal not to pay your employees a base wage. However, secondary regulations require businesses to pass through licensing hurdles (which include paying a wage floor) before they are allowed to operate. Vendors, suppliers and everyone in the logistical chain are the life blood of a company. If corporate sclerosis occurs or if there was a shift in the source of supply, a company would be severely weakened. If the unethical company is publicly traded, their stock prices could be affected by news that affect investor confidence. 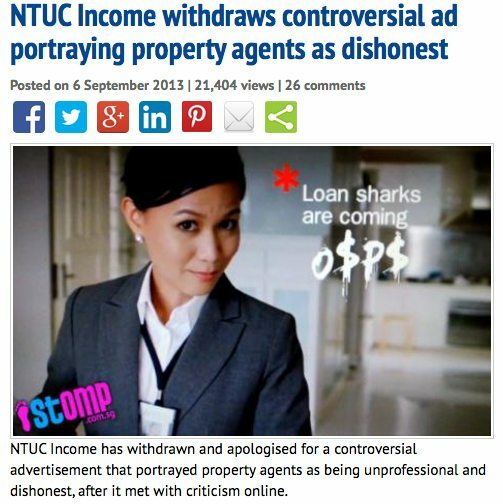 In the case of NTUC Income, nothing changes. They are known for controversial campaigns and some of them have been successful. If the KPIs of the campaign was to increase eyeballs, they have got it. Maybe it will not translate into sales immediately, but they sure have the eyeballs.